Kaye Play Frame is designed to encourage children to experiment with various strategies for reaching, batting and swiping or kicking, skills that develop very early in infancy. 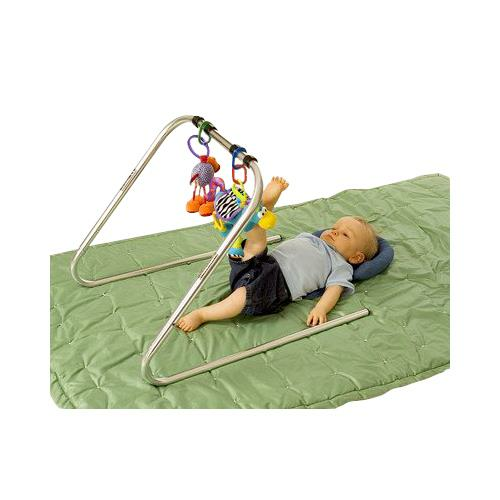 Toys can be suspended and strategically positioned to encourage the child to develop variety in shoulder and arm or leg motions. Play Frame has an adjustable height and combines with Kaye Corner Chair, Bumbo Seat or Small Benches. Note: Toys shown in the image are not included with the product.